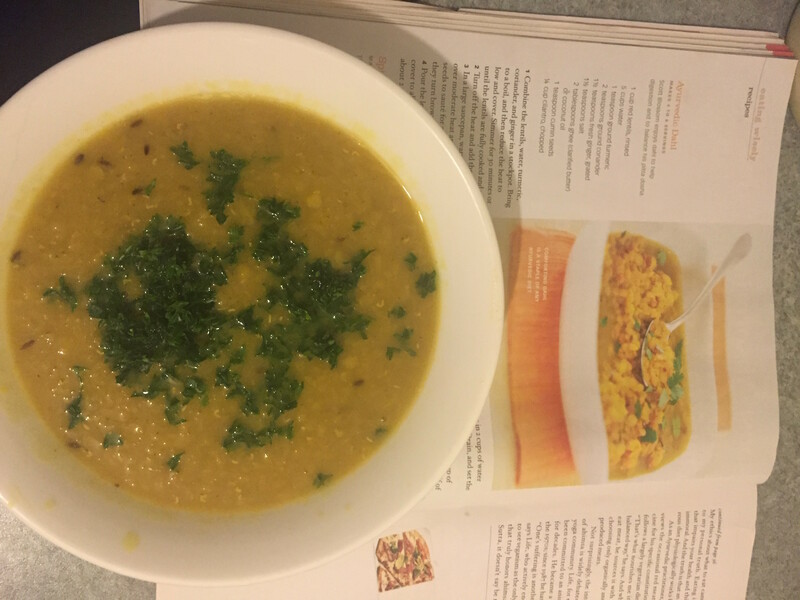 Dhal is a staple of most Indian households, and is a favourite nutritional food of many vegetarians – especially those of us on the 40 Day challenge. The word ‘dhal’ (which means to split) refers to split lentils, peas, chickpeas or beans. Dhal is relatively easy to make and has two main steps. Step One normally requires cooking dry dhal with water, turmeric, ginger, tomato and salt for around 25-30 minutes. Step Two is a fried garnish using ghee or oil, called ‘chaunk’, which is added to the dhal near at the end of the cooking process. Different families and traditions use a variety of ingredients for the chaunk, such as cumin seed, mustard seeds, fennel seeds, curry leaves, cinnamon stick, cardamom pods, and cloves. Onion and garlic, and dried chilies can be added for non-sattvic occasions. Dhal is relatively high in dietary fiber, is high in iron and vitamin C, and also contains Vitamen A and calcium. A serving of dhal is 25% protein. Some people prefer a slow cooking method to bring out the silkiness of dhal. However is time is an issue you can have a pot ready to eat in less than 30 minutes.